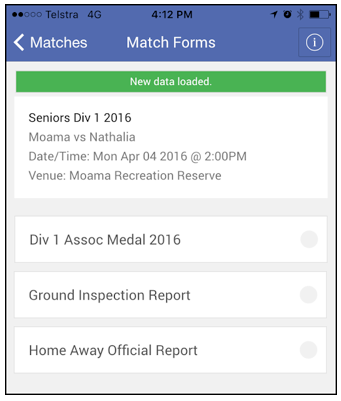 MDP allows a league to capture votes and match day forms from team managers and match officials. 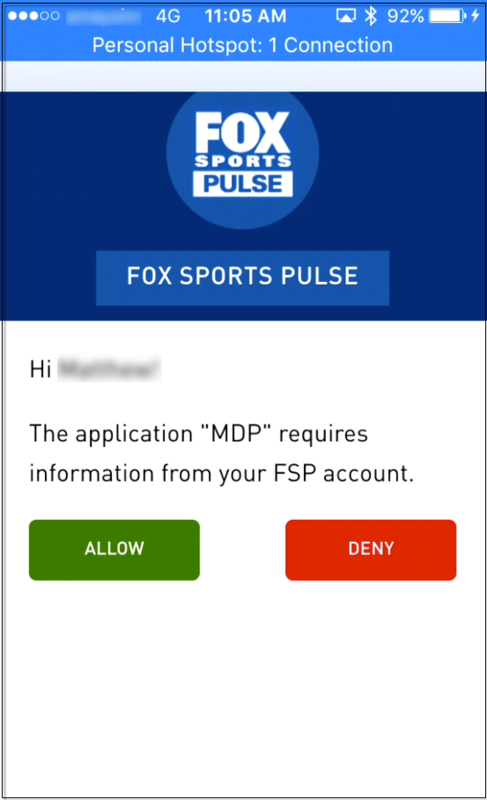 Leagues control what is accessible to whom in the league database, and users login to complete these tasks in the MDP app. 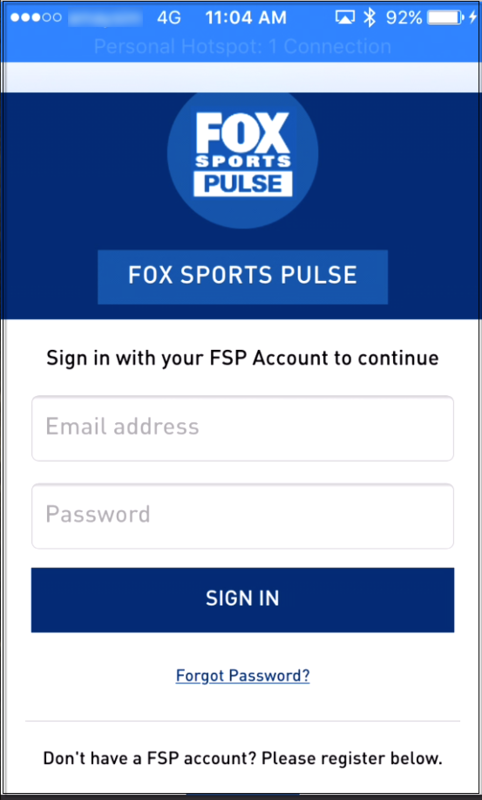 This functionality is currently only available for AFL users. For match officials: Your Passport account must match the email address that you registered with in the current season. For Team Managers: Your Passport account must be authorized by your club in the database. Click here to see how this is done. 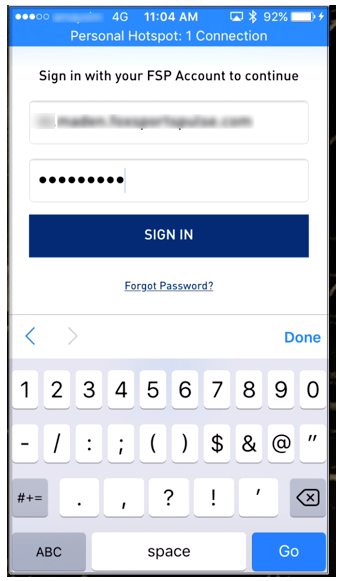 If you don’t yet have a Passport account created, click ‘Register’ to create one. 1. Fill out your passport details on the first page. 2. 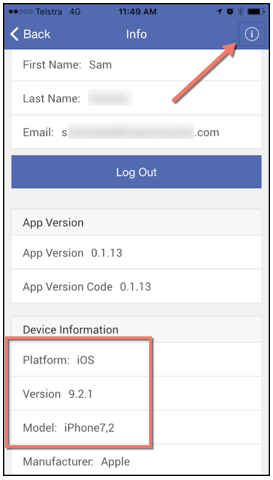 Once you have logged in, ensure you 'allow' the application to access information from your account (you will only have to do this the first time you login). 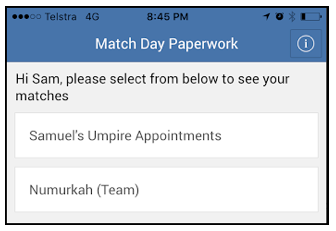 Tasks can be assigned by your league to match officials and/or team/club staff, so if you are a Team Manager for more than one team, or perhaps you are a Team Manager and a Match Official, then you will need to select which entity you want to complete tasks for before you select a match. 1. Select who you would like to complete tasks for to move to the match selection screen. 2. The match closest to the current date should appear, if this is not the right match, navigate through the date filter at the top of the screen to find it. 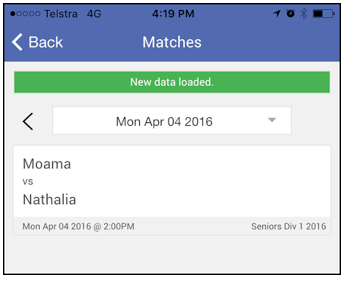 If you cannot see your match in this screen, contact your league administrator. 3. 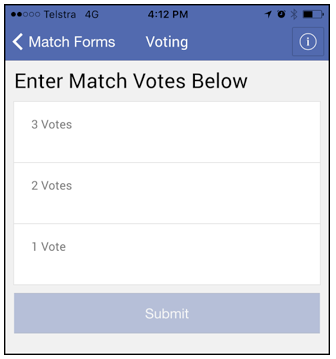 Once you have found the correct match, simply select it and you should see a list of tasks for you to complete for this match. 1. Select the award you need to enter votes for, then select how many votes you need to give. 2. 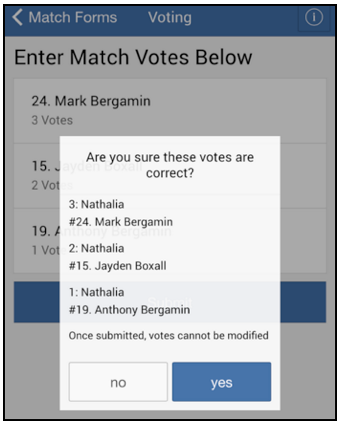 Select a player to give the votes to from the list of players selected for this match. Note: you can switch between teams by selecting the team names from the top of the screen. 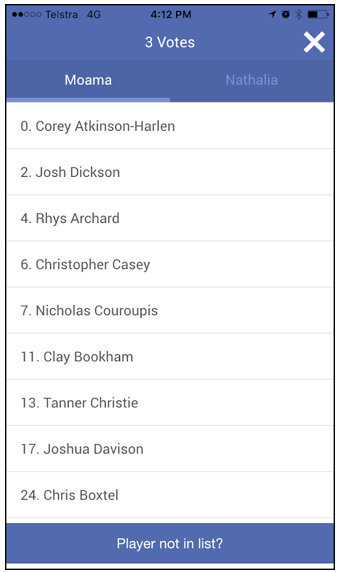 Note: If a player received votes that is not appearing in this list, it probably means they were not selected for the match. If you click the ‘player not in list?’ button at the bottom of the screen you can select from a list of all other registered club players. 3. Repeat this step for all votes and you will see a screen like the one shown below. 4. Once done, click 'Submit' and you will need to confirm your votes. 5. Click ‘yes’ to confirm. Note: Once confirmed, you cannot change your votes selections. The only way to do this is through the league. The green tick indicates that this task is now completed. 1. 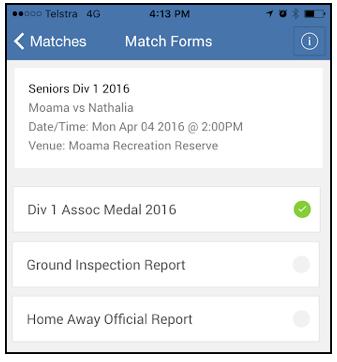 Select the form you need to submit (the two examples below are ‘Ground Inspection Report’ and ‘Home Away Official Report’). 2. Answer questions as required by your league. Note: Compulsory questions are marked with a red asterisk. 3. Click 'Submit' once completed. If you have any queries during this process please contact your league office for assistance.